I admire Sergei's courage in the face of the Bolsheviks. He was the only one among any of the captives to challenge and try to fight, and to announce he believed they were all going to be killed. Perhaps if the entire group had been so outspoken and defiant they might have been able to escape. Besides Sergei and Ella and her friend Sister Varvara, the others were young men, the 3 sons on f GD KR and Prince Paley, son of GD Paul. Surprisingly, Jamie Cockfield who recently wrote a biography about the G. D. Nikolai Mikhailovich, does not provide much information about his sobriquet. The author simply notes that his younger brothers and sister called him Bimbo as children. With his nieces and nephews he became known as Uncle Bimbo . He seems to have accepted this name with some sense of humor because he used it later in a letter to his cousin the Emperor. So it appears this name has its origins from his childhood family home. She was rumored to be the child of Herr Haber (?). So she faced some nasty rumors about her 'Jewish' heritage. This has never been proven though. The only thing I can say about this lady is that I have been struck at the strong resemblance between her and her daughter! 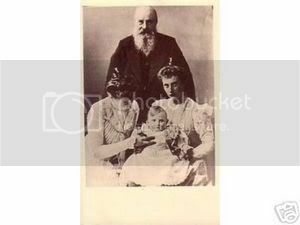 The picture of Olga in The Camera and the Tsars (pg. 184) is actually what I was thinking about when I said her daughter resembled her greatly. I've often read that the Mikhailovichi were snubbed and nicknamed Caucasians 8something which wasn't very nice in Imperial days) because they were rumoured to have Jewish blood through their mother. 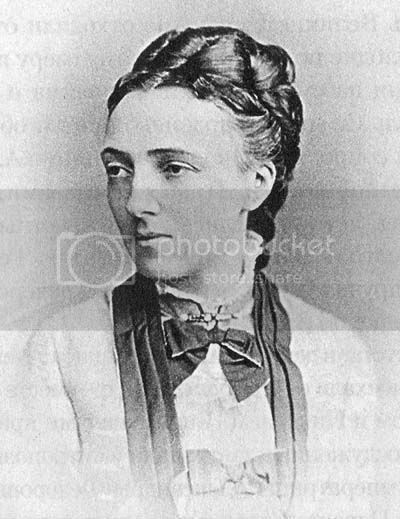 So I've traced Olga of Baden's line and found her grabndmother, Louise Geyer von geyersberg. I wonder, was she Jewish? Was she the one who put "the Jewish blood" into this line of the family? Or is there perhaps another line I ought to look up? 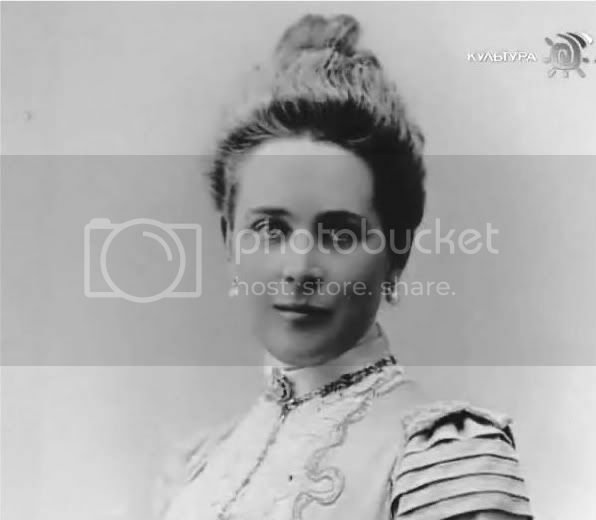 Just found one more photo of GD Olga F.
Did Olga alias Cecilie convert or did she remain protestant? How come that he didn't like her name? Cecilie, well to me it sounds very gentile, Olga on other hand sounds very solid, firm. Was their marriage a love match or an arranged one? Since he decided, that she will bare different name after married, sounds like an arranged marriage. Actually "Cecilie" doesn't sound good in Russian. And their marriage was a love match, anyway Mikhail love d his wife much.